Wheeldon <née Marshall>, Alice Ann (1866-1919), Anti-war activist, suffragist and socialist. Alice Wheeldon was a pacifist and anti-war campaigner. She was arrested in 1917 along with members of her family after being set up by an “agent provocateur”, known as Alex Gordon, employed by the Ministry of Munitions. After a highly publicised trial at the Old Bailey, prosecuted by the Attorney General F.E. Smith, Alice and her daughter Winnie Mason and her son-in-law Alf Mason, were convicted and imprisoned for conspiracy to murder the then Prime Minister, Lloyd George and the Leader of the Labour Party, Arthur Henderson. Alice went on hunger strikes in prison, which severely affected her health. Owing to her failing health and officialdom's fear that she might die in prison, she served less than one year of her 10-year sentence. From Holloway prison she was released on licence at the instigation of the Prime Minister - the same Prime Minister she was accused of conspiracy to murder. Her daughters Nellie and Hettie accompanied her back to Derby where she died just over one year later. In 1886, Alice married William Augustus Wheeldon with whom she had four children. In1894 the family moved back to Derby. In 1901, with the inheritance from her father William Marshall, Alice took over an established business, as a ‘wardrobe dealer’ buying and selling high-quality second-hand clothes and rented the semi-detached house where her family lived. Nellie her eldest daughter worked in a co-op health food shop, and wrote as a co-operative educator. William her son attended Nottingham University and became a schoolteacher. Daughters Hettie and Winnie trained as school teachers in London, and taught in Derbyshire. After her marriage to Alf Mason, Winnie taught in Southampton . At the time of Alice’s arrest in January 1917, the Derby house contained suffrage and progressive newspapers. The many records (books, letters in custody, paintings, newspaper articles, archives) show that her children participated in public speaking, enjoyed word games and jokes, rambling in the Derby Dales, learning and cats, and retained a commitment to justice. Alice and all four children were awarded (and kept) medals for first aid and life-saving. People of Derby formed a Defence Fund and had difficulty in finding lawyers prepared to defend Alice and her family. William Wheeldon accepted the offer from Sayed Riza, barrister, to represent Alice, their daughters Hettie and Winnie, and their son-in-law Alf Mason. Mason <née Wheeldon>, Winnie (1893-1953), teacher, anti-war activist, suffragist and socialist. 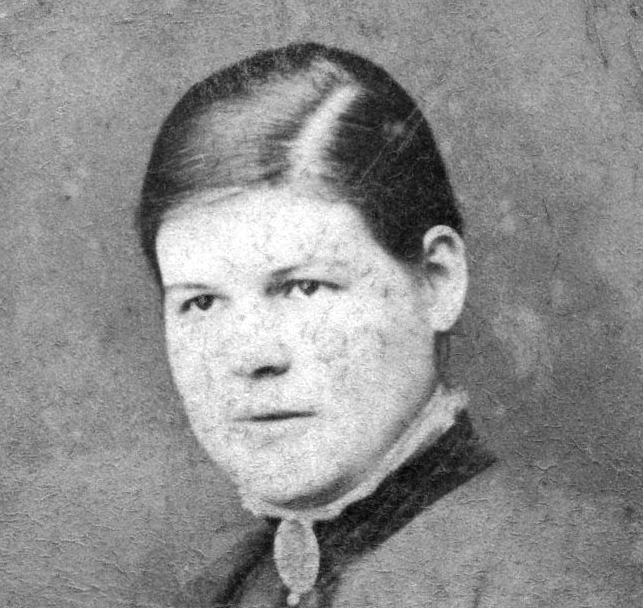 Winnie Mason was born in Blackburn and was a pacifist opposed to the First World War, like other members of her family. Winnie married Alfred Mason in 1915 and moved to Southampton. She was a trained teacher and was working at the Foundry Lane Council School in Southampton at the time of her arrest on the charge of conspiracy to murder. She was convicted and given a 5 year prison sentence, but was released early nearly a year after her mother. After their release, in 1919, Winnie and Alf Mason moved to London where they lived for a number of years with Winnie’s other siblings. At this time their son Peter was born (25 February 1922). Eventually they moved back to Hampshire where Winnie was noted for raising awareness of the rise of Fascism. In 1949, she took up residence in Welwyn Garden City where Alf had built a modern house in the new town. She was diagnosed with lung cancer and died there on May 13 1953. Mason, Alfred George (1892 – 1963), pharmacist, anti-war activist and socialist. Alfred Mason, the son of Rosetta and George Miles Mason, was born in Southampton in 1892. His father was an astronomer and an optician who also made lantern slides. In 1908 he was apprenticed to a chemist in Southampton and at the age of 20 he began work at the Analytical Department of Guy's Hospital in London. On 29th May 1915, Alf married Winnie Wheeldon. The couple moved to Southampton, where he worked as a chemist. He was also employed as a lecturer at Hartley University. Alf was a conscientious objector to the First World War and feared that he would be conscripted. Alf, Winnie and the rest of her family were members of the No Conscription Fellowship supporting conscientious objectors. They moved to London and lived with Win’s siblings for a number of years, where Alf resumed his profession as a chemist/pharmacist. He and Win had a son, Peter, in 1922. Later they moved back to Hampshire where he continued to work as a chemist for a few years. After the war, he and Win built a new house in Welwyn Garden City. When Win died in 1953 he moved back to Southampton and lived with his brother in the family home. He and his brother Ern built a huge telescope in their backyard which was gifted to the Follands Astronomical Society. Alf died of cardiac failure in London 1963, aged 70. Hettie Wheeldon was born in Bootle near Liverpool in England. She was a teacher and an office bearer in the Derby No-Conscription Fellowship. She was working at Ilkeston School near Derby when she was arrested on the charge of conspiracy to murder. She was found not guilty so returned to Derby to campaign for her family’s release. She had been an activist in the Womens' Social and Political Union (WSPU) which was the leading organisation campaigning for womens' suffrage in the UK. As a pacifist she disagreed with the WSPU's support for the war so joined the Women’s Peace Army. She married Arthur MacManus in 1920 and they had a stillborn child. She died from peritonitis following on from appendicitis the same year. William Marshall Wheeldon, the son of Alice Wheeldon, was born in Bootle. He was a teacher and in 1914 he joined the No-Conscription Fellowship and became a conscientious objector in 1916 and was imprisoned. He joined the Communist Party of Great Britain in 1920 and travelled to the Soviet Union with a Quaker Famine relief team. He became a Russian citizen in 1926 and taught before becoming a translator for the Comintern. Stalin had him arrested on 5th October 1937 as a strong supporter of Trotsky. The Military Board of the Supreme Court of the USSR sentenced him to death on 25th December 1937. Wheeldon, Nellie (1889- ?) Anti-war activist, suffragist and socialist. Nellie Wheeldon was born in Bootle, Derbyshire. She was Alice Wheeldon’s first child. In Derby, Nellie first worked in a health food shop. The shop was owned by her friend Dorothy Robinson (nee Groves); the Robinson family were friends of the Wheeldons and in late 1916 had also been visited by the same undercover agents. At some stage, Nellie worked in the fruit department of the Derby Co-operative Society shop East Street. In 1914, just before the war, Nellie participated in a national cooperative summer school, held in the Lake District, having won a scholarship from an essay-writing competition. The Co-operative Record published her short article commending the co-operative movement and workers education and indicating her involvement in ‘platform oratory and newspaper work’. Little is known of Nell’s early life but we know that she was active politically with the rest of the family in the suffrage, socialist movements of the time. With the arrests of her family at the end of January 1917 and intense, hostile publicity, Nellie moved out of the family house to the safety of a neighbouring aunt. After the death of her mother she joined the newly formed Communist Party of Great Britain in Derby in 1921. Later she moved to London and in 1925 was living with Tom Bell in a group household in Kensington with other members of her family, who had been released in 1919, and worked in Alf Mason’s pharmacy. Some time after the 1926 General Strike, and Tom Bell’s release from prison, she travelled to Russia and worked as a corrector in the English Section of the Comintern. She left Russia and returned to England before departing for the USA in 1931. She lived in San Francisco where she joined the Workers Alliance of America. No trace has been found of her since 1938.